Jobs abound for entry-level nurses, but competition is fierce. Get a leg up by building a great resume, and land a position at your first choice hospital rather than settle. These four critical writing tips can help you turn that resume into a job offer. Nursing RN recent graduate seeking to use earned skills and knowledge to assist your hospital in a nursing role. Proven to ably handle any medical emergency or situation, with the requisite skill-set to perform under pressure. Excellent interpersonal skills, and a dedicated worker with a sense of purpose. Possess a BS in Nursing. Monitored five assigned patients, updating information on vital signs and progress of treatment. Documented data related to patients’ care including assessment results, interventions, medications, patient responses, or treatment changes. Assessed condition of patients, ordering and evaluating diagnostic tests as needed. Collaborated with other healthcare professionals to plan, manage, and assess patient treatments in the acute care unit with a bed capacity of 32 patients. Performed emergency medical procedures, such as basic cardiac life support (BLS), advanced cardiac life support (ACLS), and other condition stabilizing interventions. Discussed illnesses and treatments with patients and family members in a supportive manner. Entry-level nurses have an advantage over other industries when building their resumes for the first time because of the extensive internship and resident experiences they’re required to complete to graduate. 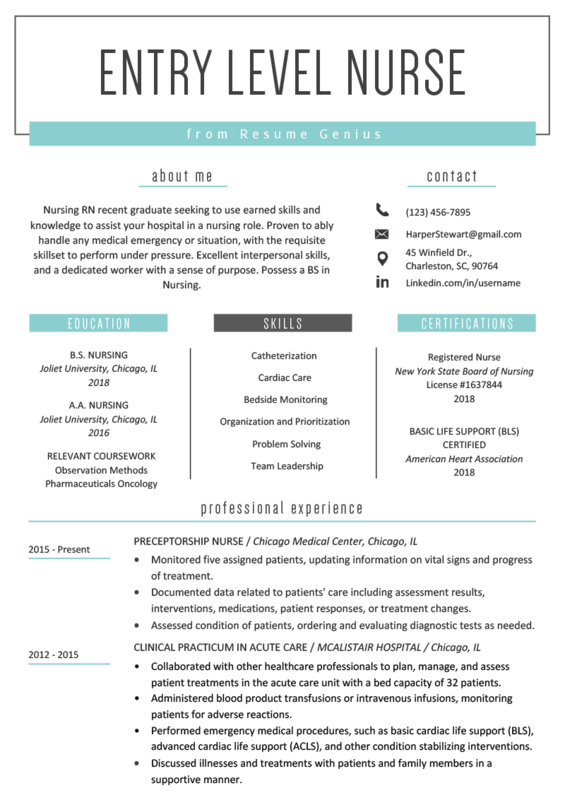 Nurses writing their resume for the first time will first have to write customized career objective, explaining their educational background and desired position within an institution or organization. For the full rundown on crafting an effective career objective check out our page that outlines the ins and outs of writing a great career objective. These educational residence experiences are very similar to professional work experience listed on experienced Nurse resumes so starting with the education section first on entry-level nursing resumes is not only logical but simple to do. Learn more about how to present your skills with our comprehensive guide here. 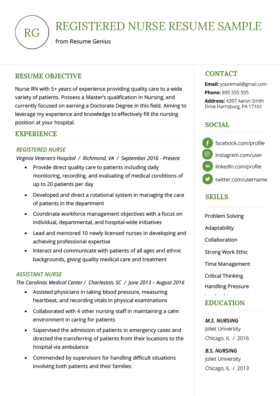 Writing the education section for an entry-level nurse is a little bit different than writing that of a general resume from another industry. This is because medicine has so many different specializations and educational requirements that applicants must pay particular attention to detail. Below is an example of a perfectly written Education section complete with Relevant Coursework and Licenses & Certifications sections. The beginning of entry-level nursing resumes can be broken down into three distinct sections, covering three areas that employers will want to see immediately when reviewing a resume. These three sections are the Education, Relevant Coursework and Licenses & Certifications sections. 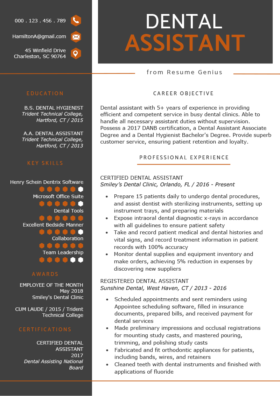 Each contributes to making the resume more attractive in unique ways. Including licenses and certifications are vital resume builders and should always be included when writing a resume in the medical industry since organizations are legally required to employ only licensed and certified individuals. Not listing the correct license or certification could get a resume rejected instantly. Make sure to specify your individual license number and the issuing organization. Including licenses and certificates is critical for gaining employment and can directly impact compensation. While the resume should be heavily focused on medical specific educational and internship experiences, there is often room for notable non-medical related work experiences as well. Need help with the basics? 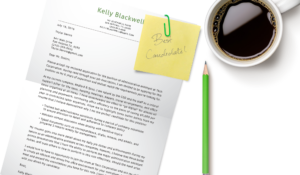 Learn how to write a resume piece by piece. DO numerically quantify achievements and responsibilities, such as numbers of patients, beds, procedures etc. Finally, don’t discredit non-medical related work experiences automatically. If you held a position that required the use of transferable skills consider adding it because employers can appreciate universal employability traits such as management skills, communication skills and organizational skills. Need more verbs to add to your resume? Check out the longest action verb list in the universe! Didn’t get the specific answers you wanted from this page? Please leave a comment with your question or visit Resume Genius on Facebook, Twitter, or LinkedIn to ask. And if you really liked the sample, don’t forget to pin it on Pinterest!